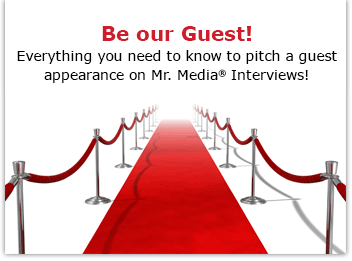 Mr. Media is recorded live before a studio audience of kibitzers who will sit through this interview hoping that the nosh afterward will be worth it … in the NEW new media capital of the world… St. Petersburg, Florida! Order ‘Thanks. 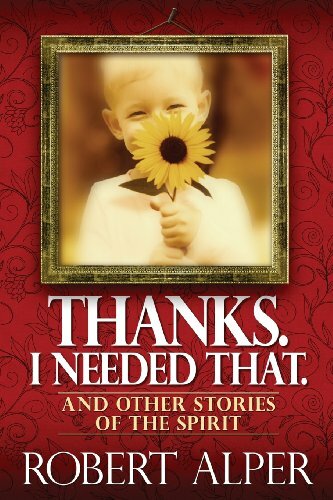 I Needed That.’ by Bob Alper, available right now at a great price by clicking on the book cover above! If I was ever going to have a rabbi as someone I could call friend, it was going to be someone like Bob Alper. Fortunately for my wife and I, we never had to settle for someone “like” him — we got the original. And trust me, no one is more original than this Rhode Island native, one-time dirty magazine thief, husband, father and rabbi… turned standup comedian–seriously! I’ve told this story before, but Mimi and I first made contact with Bob almost 20 years ago, before we became parents. We’ve been to his Vermont home, visited with him in Florida and seen his show several times. He is a warm, wonderful man with the gift of observation, storytelling and a clean sense of humor that fits him—and audiences—beautifully. 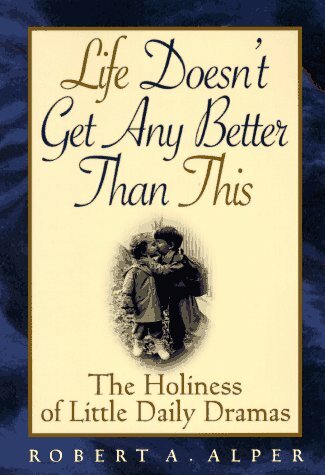 Order ‘Life Doesn’t Get Any Better Than This: The Holiness of Little Daily Dramas’ by Robert A. Alper, available right now at a great price by clicking on the book cover above! That, and he bears an uncanny resemblance to Steve Martin. If you listen to the family comedy channel on SiriusXM, you will probably recognize him as audioclips of his work—including two popular CDs and a DVD—has made him a daily staple of clean yuks. Several years ago, Bob adapted some of the funniest moments from his standup act into a book of cartoons, A Rabbi Confesses. That led to a more serious book of essays, Life Doesn’t Get Any Better Than This. Now he published what is easily his best book yet, Thanks. I Needed That. And Other Stories of the Spirit. It is a delightful collection of essays of irony, humor and human moments that no one could capture as well as my friend Bob. I recommend his new book as something you will enjoy and profit from reading no matter what your religion. And I’m so proud to still call him my friend after all these years.